The finest cushion/pillow money can buy. The richly colored cushions by Scholten & Baijings, Studio for Design, create a true explosion of colors in the interior. The patterns on these cushions are compiled of brightly-colored stripes and interrupted shifts in color. The design duo had them woven at the weaving mill of Weverij De Ploeg, who have been working with renowned designers since 1923. 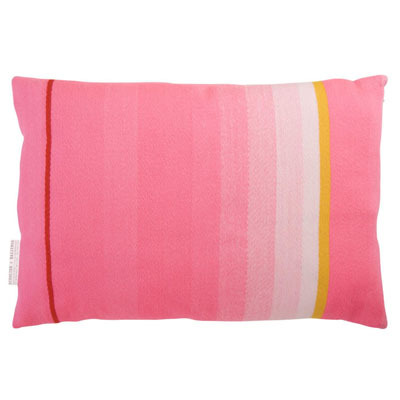 The cushions are woven from merino wool and cotton, making them irresistibly soft to the touch.